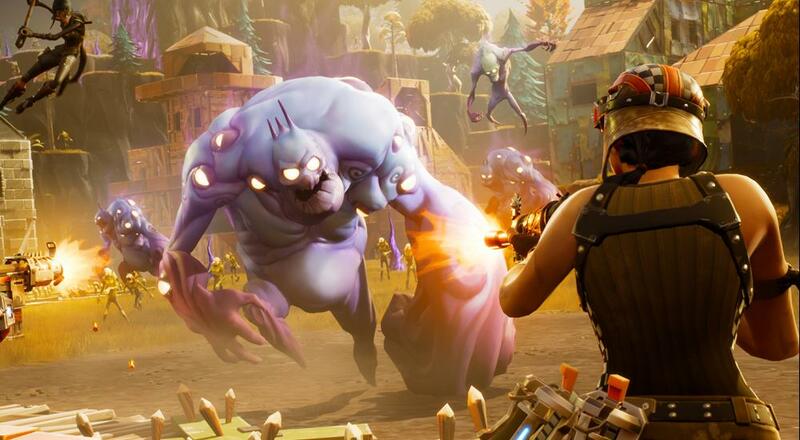 If you're looking for more PvE activities to do within Epic's crafting/building/shooter game, Fortnite, then you're in luck! A whole new mode, called "Save the World," has been added in today's update and it features new heroes, weapons, and defenders that can be obtained by playing and completing this challenge. It all starts in a staging area. You’ll have unlimited time, but limited resources to build a portable horde fort. Once you've designed the perfect fort, exit the staging area and party with up to three friends. Your forts will be ready for action when your team hits the ground. As you survive, you’ll receive more resources and more rewards to Challenge The Horde. Along with the mode comes a new limited time loot llama tied in with the event: the Scavenger Llama. Earn Scavenger tickets that can be used to acquire this llama by playing the new "Save the World" mode, and/or by completing any of the 25 new progression quests that are getting added to the game as well. Fortnite is available on PC, PlayStation 4, and Xbox One. It is currently still in Early Access, and supports four player online co-op throughout. Page created in 0.7041 seconds.